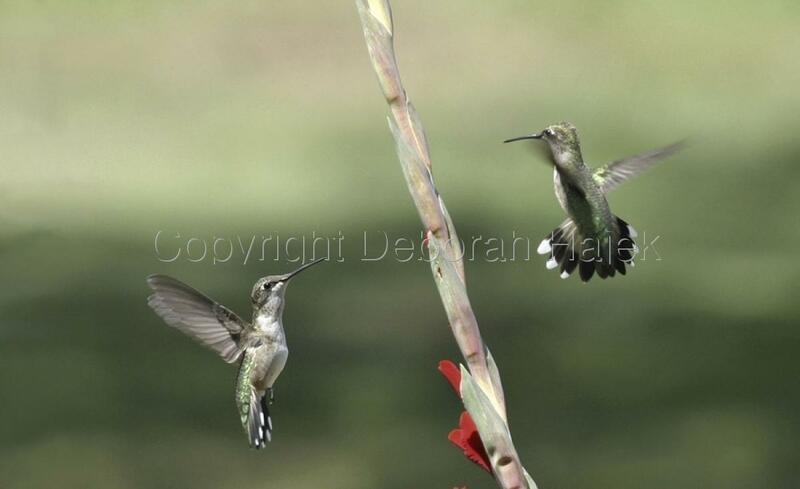 Two Hummingbirds coming upon each other with a Gladiolus flower between them. This image was Picture of the Month in "Digital Camera" magazine. 5" x 8.125"7" x 11.5"9" x 14.75"11" x 18"